Lori was introduced to Yoga several years ago and was inspired how it changed her life. That inspiration motivated Lori to enhance her own practice, knowledge of Yoga, history and spiritual benefits by pursuing and completing 200 hour Teacher Training at Chakra Flow Yoga , Ananta Yoga Studio after practicing as a student at Ananta Yoga for several years. In Fall of 2015 Lori became owner of Ananta Yoga Studio and Chakra Flow Yoga , 200 hour Teacher Training School. Lori is committed to serve the local community by offering a community culture at the studio with outstanding teachers who help students grow and enhance balance in the mind, body and spirit! Ana was introduced to classic Hatha Yoga by her mother when she was about 8. Then the practice was forgotten for many years until she was re-introduced to Yoga by her friend in 2002. Ana enrolled in YogaFlow Teacher Training with the intention of deepening her practice and learning more about yoga. Though, she didn't intend to teach, it was meant to be. In the past few years she's studied with many wonderful and talented teachers and explored different styles. In addition she studied Zen Meditation in Japan. Yoga transformed Ana's life in more ways than she could have ever imagined. Ana believes that every style has something great to offer. Her goal is to show her students that yoga is for everybody and to help everyone find his or her own path. Her classes are a creative mix of various styles she finds fascinating. Ana is also a Reiki Master Teacher. Anandaprema, which means "Blissful Divine Love", is the name given to Ana by her Guru. Ana is one of the disciples of Joan Suval and a frequent visitor to Ananda Ashram in Monroe, NY. Antonette was first introduced to yoga while studying at Montclair State University, and graduated with a B.A. in Commercial Arts. After years of drifting in and out of yoga classes she began seeking various spiritual traditions to fulfill a void within. After an illness led her back to her mat she soon discovered yoga not only opened her physically but opened her heart to what she had been seeking all along. This lead her to deepen her own practice while learning how to teach classes and enrolled in YogaFlow Body and Mind Teacher Training. Antonette brings all of these lessons enriched in spirituality into her teaching. Her classes are geared towards recognizing everyone's individuality in a nurturing, non-intimidating atmosphere. Antonette is a lead teacher of our Chakra Flow Yoga School 200 hour Teacher Training Program. Bill, a native of Northern New Jersey, has been practicing yoga since 2007. His early love of nature landed him a kayaking instructor position creating long hours in beautiful places but in strange physical positions. Wanting to enjoy all of his time on the water he took the advice of a friend to try yoga. After years of enjoying the physical benefits of yoga the practice started taking on a different meaning. Wanting to explore his practice further he enrolled in EverYoga Teacher Training at Highland Yoga in Butler, NJ where he completed his 200 RYT. 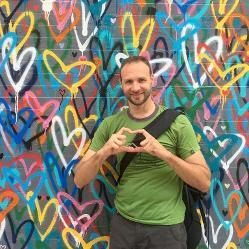 His life experiences, other interests, and continuing studies of yoga create a unique perspective that he enjoys sharing through a personally challenging, well balanced, safe class. Yoga found Anjela in 2008 after the rehabilitation of a torn and reconstructed ACL, MCL, and meniscus in her left knee. In addition to the physical benefits the practice brought, Anjela felt the healing effects in her breath, soul and spirit and decided to immerse herself into the yogic teachings. She received her 200 hr TTC in 2012 with Mindful Body, and since then has become a Reiki Level 2 Practitioner and owner of Namaste Awhile, LLC. Anjela believes it’s her life’s purpose to help her students find freedom in their bodies, minds, and hearts by igniting their strength, self-love, self-worth, and self-acceptance. She's come to learn the tools we need to heal ourselves are and have always been within us - we are already whole. 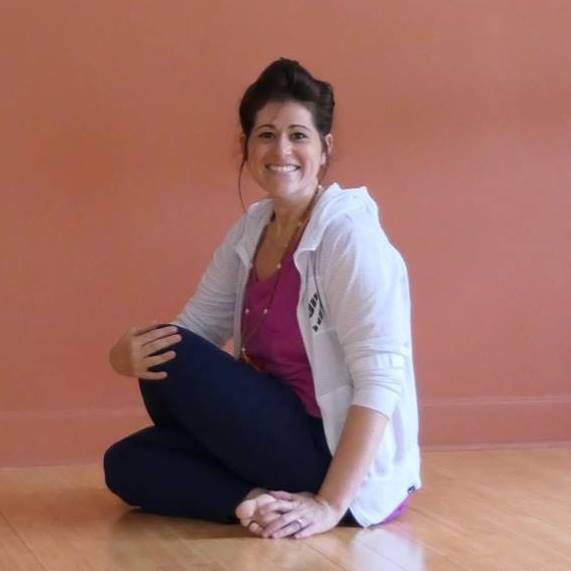 Anjela is certified to teach meditation, Hatha, Vinyasa, Yin, Restorative, Kids, Prenatal, Gentle, Chair and is comfortable teaching all levels, beginners to experienced. Annette was always drawn to yoga from a young age. Her first class was at 14 and she left feeling imprinted with peace and a new found passion. Her practice revolutionized her mind and body as always a safe place for her to grow. As Annette's practice evolved she knew sharing this yogic journey with others was the next step. She gained her RYTT 200 hour through Chakra Flow Yoga at Ananta Yoga Studio. Recently, Annette gained her massage therapy license to further be able to help others on their journey. Annette carries these teachings of anatomy and philosophy into her classes. She aims on allowing her students to find freedom within themselves to get a deeper sense of inner peace and understanding through meditation, pranayama and asana practices. Colleen has been a student at Ananta Yoga since the day it opened its doors. She has been transformed with yoga both physically, mentally and spiritually. Colleen's fascination with yoga led her to complete a short training course in Anusara yoga. Then in 2012 she enrolled into Chakra Flow 200 Hour Teacher Training program at Ananta Yoga studio and graduated as a certified yoga teacher in May 2013. Colleen has been studying Vinyasa, Anusara and Iyengar styles and she successfully combines them in her alignment oriented flow classes. Her teaching style is fun, creative and accessible to everyone. Reverend Krishna Boscardin is a RYT 500 who has been intensely and devotedly teaching Hatha Yoga since 2001. As an experienced Hatha Yoga Instructor and Certified Massage Therapist his classes are insightful and intuitive to the atendees' health needs. He holds several certifications in Accupressure, Therapeutics, and Energetics in Yoga, as well as a Black Belt in Taekwondo which all these contribute to his knowledge of the physical and energetic aspects in Yoga. As a devoted student and teacher in Yoga his highest purpose is to promote health in the body, peace in the mind, and a deeper happiness from within. Rev. Krishna has been trained and ordained as a Yoga Life Minister by his Beloved Teacher Sri Guruji Reverend Jaganath Carrera. 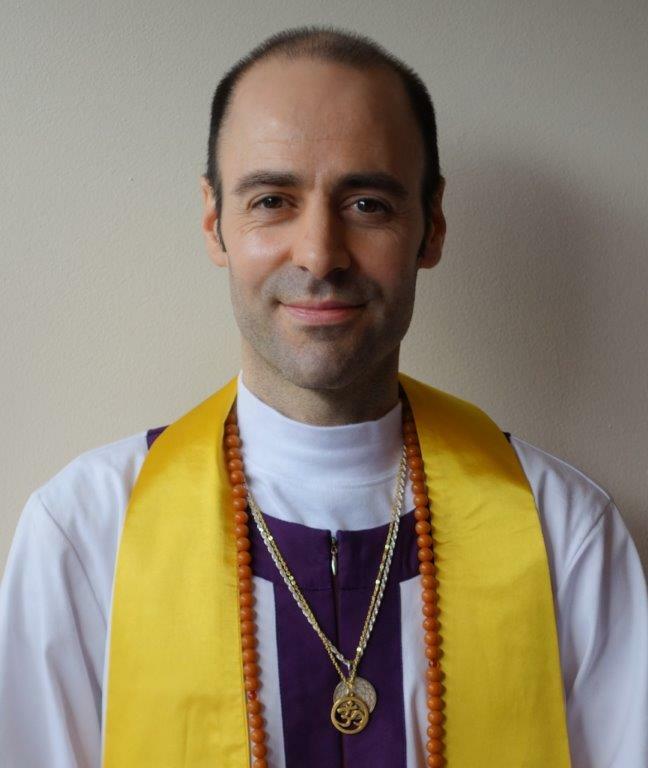 He offers ministerial services and officiating at ceremonies and functions such as weddings, blessing and naming of newborns, funerals, and others. He also teaches meditation, Raja Yoga (Patanjali's Yoga Sutras), and other Yoga philosophies to the public interested in these inspiring spiritual teachings which are very useful and beneficial to our modern way of living. As a life long fitness enthusiast, Debi was introduced to yoga at the gym.She was drawn to the peace and serenity she found in her practice and desired to learn more.She began taking classes at a local studio and was encouraged to pursue teacher training. In January 2010, Debi enrolled in a training program with Yoga Fit, a national and international teacher training in New York City. In May she participated in another training in Baltimore.It was then that Debi began classes at Ananta and found a studio to call home. She feels deep gratitude to her teachers at Ananta for their support. In June 2013 Debi graduated from a 200 hour teacher training with Sheryl and Neil Edsall of Naturally Yoga.The program strengthened her knowledge of asanas, as well as deepened her understanding of the philosophy of yoga through the study of Patanjali's Yoga sutras and the Bhagavad Gita. Debi is passionate about spreading her love of yoga and helping her students apply it to their daily lives. Yoga has had a profound effect on her life and it is Debi's hope to pass that on to her students. Maria has been studying yoga for over 12 years. Her love of yoga seemed to be a natural progression after exposure to ballet, modern dance and gymnastics as a child. Maria had a burning desire to deepen her yoga practice for years, but the time never seemed right until the Chakra Flow Teacher Training at Ananta Yoga studio became available in 2012. She graduated as a certified yoga teacher in May 2013. A pharmacist by profession, Maria has always been interested in enhancing her Western medical background with Eastern practices. As an avid believer in energetic healing, Maria is also a certified Reiki Master (Usui System of Natural Healing), and a certified "Crystal Light" Crystal Therapist. Her teaching style is an alignment oriented flow, and her classes, conducted in a supportive and friendly atmosphere, are open to students of all levels. Mara's style of teaching connects subtle energies within each person for a balanced practice. Her experience in teaching Pilates, a practicing massage therapist and recent certification for Yoga Teaching will offer a great addition to our community of instructors. Julia started practicing yoga in middle school as a way to help manage anxiety. Julia continued and deepened her practice through high school. The ability to help maintain balance in her life and her love of yoga led Julia to complete her 200 RYT from Chakra Yoga Flow at Ananta Yoga in 2015. As Julia deepened her practice and learnings she developed a passion for wanting to learn more about Ayurveda, it's approach and benefits to allow one's self to reach it's full potential – mind, body, soul. Julia graduated from the School of Ayurveda at Kripalu, Center for Yoga & Health in 2016, as is certified as an Ayurveda Health Counselor. Julia has completed 650 hours in Foundations of Ayurveda and is working towards her Counseling offerings. Certified in Children's and Restorative Yoga. Valerie is a lifelong practitioner of yoga and has also been a practicing psychotherapist for more than 25 years. She finds that blending yoga with therapy can be a most natural approach, as yoga is a form of therapy that is transformational. Valerie has studied with many wonderful teachers: Sheryl Edsall, Chaya Spencer, Todd Norian and John Friend, just to name a few, and has tremendous gratitude for each one of her teachers, for they have truly changed her life. In 2005 Valerie became a member of the Yoga Teachers Alliance. She teaches Vinyasa, Anusara, Restorative, Children's and Chair Yoga. Valerie received her Anusara Inspired Status from John Friend, a most joyously felt addition to her practice and her life!